Last week, Vermont became the first U.S. state to authorize and regulate data brokers that buy and sell personal information of consumers. The law is meant to provide an additional layer of protection to consumers as well as place accountability onto massive data brokers like White pages, Spokeo and Been Verified that up until now function with little to no surveillance. 1. The elimination of credit freezing or un-freezing fees. Have you ever been a victim of a data breach? If so, you’ve likely been instructed to contact the major credit reporting agencies and file for a “credit freeze” – doing so blocks any attempts to open new lines of credit in your name until you remove the freeze. Subsequently, consumers can request to have the freeze removed, should they want to open a new line of credit. Unfortunately, these credit monitoring agencies charge fees, usually between $5 – $20, in order to place a freeze or remove a freeze. While $5 is not a lot to pay one time, it can become cumbersome when involved in multiple data breaches. 2. It’s now legitimately illegal to fraudulently acquire personal information for any reason, but also for purposes of stalking, harassment, ID theft, or discrimination. While this was likely already made illegal under a number of other state and federal laws, this section clearly bans the illegal acquisition and use of personal data for the purpose of discrimination. 3. Minimum data security measures have been clearly defined. Especially for businesses that deal with large swaths of consumer data on a regular basis, it’s extremely important that data brokers stay up-to-par with their security proceedings. 4. Transparency about Data brokers. 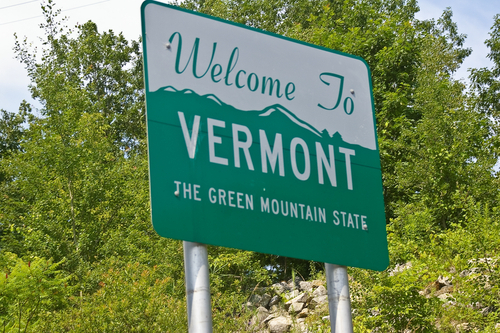 The state of Vermont will now require data brokers to be more clear and better inform consumers on exactly what data is being collected about them, provide clear instructions for opting-out when that option is available. Unfortunately, as history has shown, it usually takes a huge data breach story (like Equifax) or data privacy story (like Facebook and Cambridge Analytica) in order to get people to understand the importance of data security and data privacy. 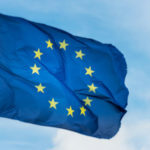 With GDPR going into effect in the EU last week, it seems the powers that be are finally beginning to make a concerted effort to fix the world’s underlying data security problem. While our home state of Massachusetts has previously passed data security laws, the Commonwealth has yet to pass a bill that encompasses “data brokers” as a whole. Abine, Inc. applauds the state of Vermont for taking strides to protect consumer data and consumer privacy. For 8 years, DeleteMe has been removing personal information from the largest data broker websites online; DeleteMe has processed over 10 Million consumers opt-outs. DeleteMe by Abine can remove personal information from White Pages, as well as many other leading data brokers. By removing the source information from data brokers like White Pages, DeleteMe removes your personal information from Google, because the information can no longer be displayed in search results.